The issue was set to be released upon the 100th anniversary of Henry Ford’s acquisition of The Dearborn Independent, a sad but important milestone in our city’s history. We believe that remembering and discussing the history of our city serves a vital civic purpose, and it is to Dearborn’s credit that we dedicate a few of our tax dollars to having a museum that strives to do that. Remembering history is not always an easy or enjoyable task, however. History is complex because it’s about people, and people are complex. We often have an urge to impose simplicity, where notable people are either heroes or villains, one thing or the other. But that’s not real life or real people, and it’s not real history. 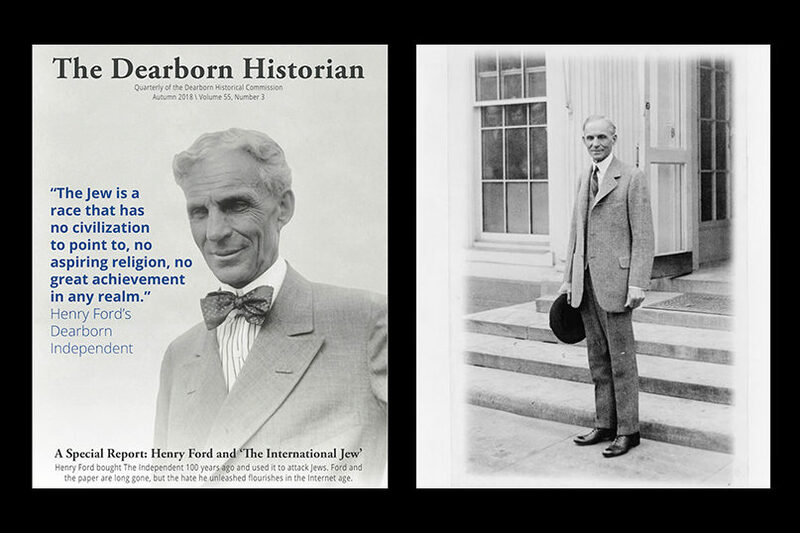 Henry Ford’s historical association with antisemitism does not in any way implicate Ford Motor or the Ford family. In fact, McGraw’s article describes how the Fords have distinguished themselves in the fight against antisemitism. These good stories are all true, but they can’t change the shameful legacy of The Dearborn Independent. The Independent had been a sleepy weekly newspaper until Ford and his lieutenants transformed it into a font of antisemitic bigotry. Backed by the vast resources of Henry Ford’s fame and fortune, the newspaper and its content that was republished in “The International Jew” gained a worldwide audience. The hateful ideas spread by these publications had consequences. And as The Dearborn Historian’s reporting explained, this isn’t just dusty trivia from 100 years ago that doesn’t matter today. These ideas still benefit from their association with Henry Ford’s name, and these ideas are still hurting people. That’s why it’s so important to remember and to discuss history. History has weight. If we only talk about the parts of the past that make us feel good or proud, and neglect to talk about the parts that might cause us introspection or humility, then what we are doing is not history – it’s something else. We also know that silence concerning antisemitism carries a particular weight. That’s why the Dearborn Historical Commission feels so strongly about the decision to try to kill this article. We believe this decision is profoundly wrong. In statements to the media, the city’s director of public information, Mary Laundroche, has explained the mayor’s decision as motivated by a desire to protect the city’s reputation for diversity and inclusion. Our city has indeed made great strides in this regard under Mayor O’Reilly’s leadership, and we don’t doubt that his desire is coming from a place of good faith. However, the mayor’s communications team has gotten the perception question precisely backward. An inclusive and diverse community is honest and proactive in confronting the darker sides of its history. To the extent that we act like we’re afraid to confront our history, that shows that we still have some work to do. We urge the mayor to reconsider his decision and to allow the museum staff to distribute The Historian. We urge him to allow the museum the freedom to pursue its duty to historical truth, including the parts that are uncomfortable. In the meantime, I’d encourage everyone to read “Henry Ford and The International Jew” on DeadlineDetroit.com. Bill McGraw wrote an exceptional article, and we at the Dearborn Historical Commission are proud to stand behind it. Jonathon Stanton is chairman of the Dearborn Historical Commission. 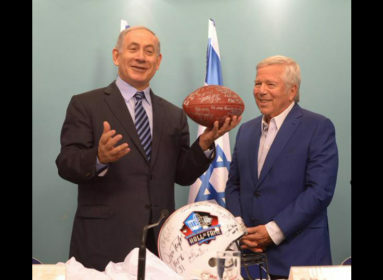 This article originally appeared in the Detroit Jewish News.